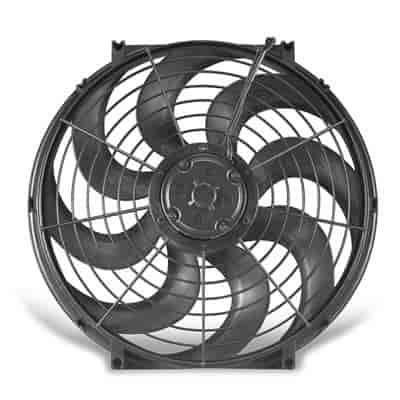 Proform 67016 - Universal Electric Fan Diameter: 16"
Flex-A-Lite 118 - LowBoy Hi-Performance Trimline Electric Puller Fan 2500 cfm Size: 16-1/2" x 16" x 3-3/16"
Flex-A-Lite 119 - LowBoy Hi-Performance Trimline Electric Pusher Fan 2500 cfm Size: 16-1/2" x 16" x 3-3/16"
396 is rated 5.0 out of 5 by 1. Can this fan be used as a &quot;pusher fan&quot; instead of pulling air? Yes, this fan is fully reversible.